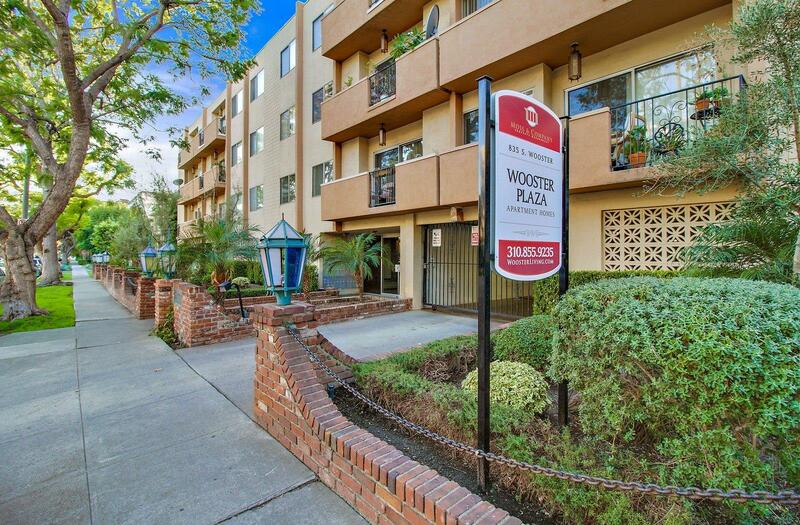 Wooster Plaza bordering Beverly Hills offers beautifully upgraded apartments and nearby attractions that can't be beat! This beautifully landscaped community places you minutes away from fine dining, local businesses, fabulous shopping and much more. Here at Wooster Apartments you can choose between a spacious studio or one bedroom. Homes feature amenities such as hardwood inspired floors, upgraded cabinetry, and stainless steel appliances. All apartments come fully equipped with full kitchen appliances, granite counter tops, and air conditioning. Parking won’t be an issue with your covered gated parking space. Other community perks include a laundry care facility with dry cleaning lockers, as well as bike racks. A gracious, relaxing lifestyle is awaiting you at Wooster Plaza.